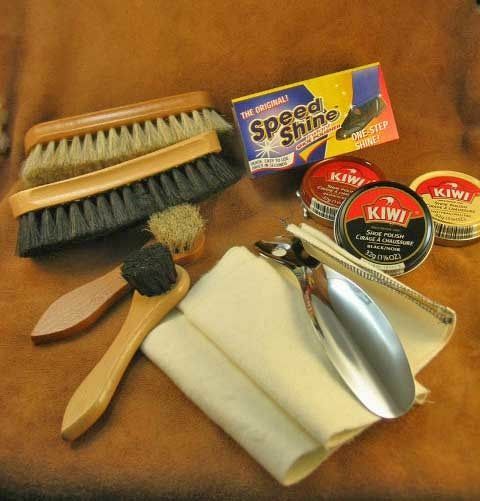 The Shoe Shine Kit Contents are the same quality items that are in our shoe shine kit in the wooden boxes. It is a great way to get started. Two 6" 100% Horse hair shoe shine brushes. One for black only and one for brown or other color. Two applicator brushes. 100% Horse hair and one for light and one for black polish only. One Speed Shine Sponge, for a quick shine.